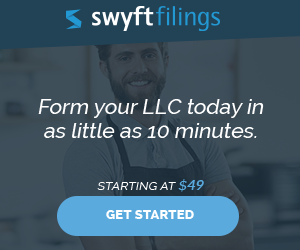 When forming an LLC my home address was used as there was no office space as yet to list. Will this compromise the LLC and enable anyone to claim against the home address in case of loss? You can use your home address for an LLC as the use of a home address alone as your registered agent address will not cause your corporate veil to be pierced. Piercing the corporate veil is an extreme remedy, and it usually takes multiple factors–including fraud by the owners/officers of the entity–to cause a court to pierce the veil. The biggest disadvantage to listing your home address is that you will now get a ton of junk mail to your home because your LLC filing is public knowledge and marketers can purchase a list of newly formed companies. Every state has a website where any person can search the name of a corporation or limited liability company and see, at a minimum, the registered agent address. Some states further require annual filings listing the officers of a corporation or LLC, and that information is also public. But at A minimum, your registered agent address is always publicly visible. Furthermore, most states let anyone view the change history to an LLC’s registered or resident agent. If you want to keep your connection to an LLC private for some reason, then you should use an outside provider as your registered agent and not your home address. Also, if your company is ever sued, the summons will be served at your home, which might cause embarrassment. For example, I had a client who was sued in federal court by an out-of-state bank on a defaulted business loan, and the bank decided to have the US Marshall serve the summons instead of using a private process server. The client was obviously upset, scared and embarrassed as her neighbors saw federal agents in marked vehicles outside her home and in this world, people are likely to think she did something criminal rather than a mere lawsuit on a business loan. While many businesses are operated out of the home and there isn’t a separate business address, it may make sense to use a registered agent service. These services provide a business mailing address. In some states, you can use a mailbox service, but a PO Box address is never allowed. Many states though require a physical address and/or registered office where there is a person who can sign for documents if they get served to the business. Be sure to check your states LLC rules and regulations. If you initially started with your home address, you can always change your registered agent to one of the many registered agent services available in every state. They usually charge anywhere from $75-$200 per year, depending on the level of services provided and who you choose to use. 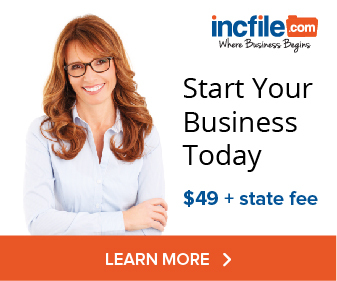 Some LLC formation services like IncFile offer a free registered agent trail when you sign register your LLC through them.